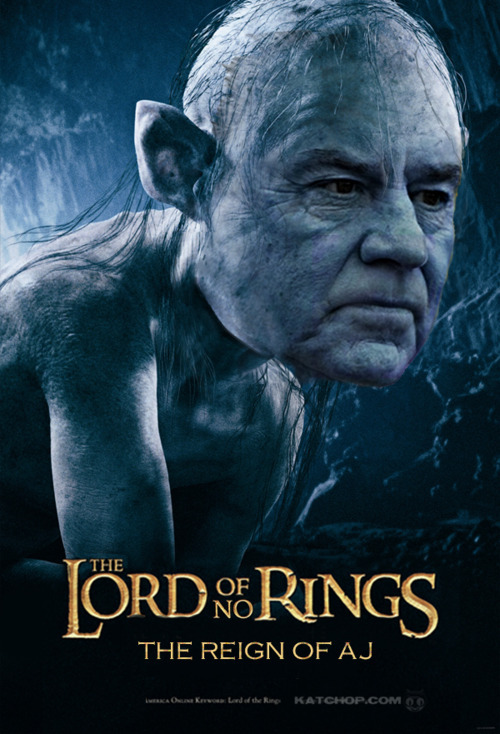 AJ Smith: The Lord of No Rings. 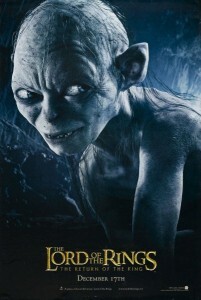 AJ Smith as Gollum. “No” rings instead of “The” rings. Get it?! HAHAHA! He hasn’t won a Super Bowl! HAHAHA! Neither have the Chargers! HAHAHA! So clever! Friggin’ stupid is what it is. What a piece-a-crap photoshop job that is. Trying to be all seamless in transition from the original work to the altered piece… in size, style and color. Whatever. Looks stupid. If you’re a lobster, you know I did not make that. (I don’t know who did, I found it on google.) 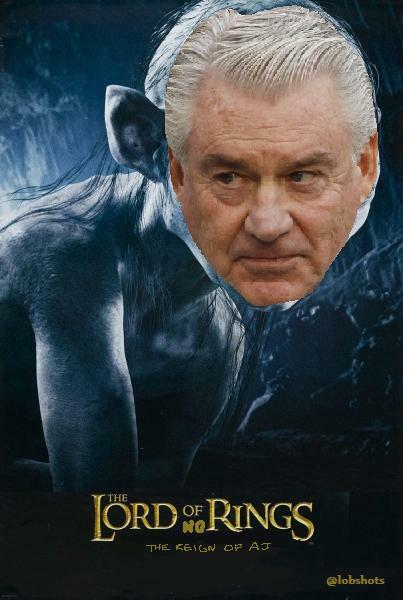 That’s done with actual photoshop, and I use bitmap paint, the far superior photo-altering tool. Some of you, shockingly, don’t know the difference. So allow myself to introduce yourselves to the difference. 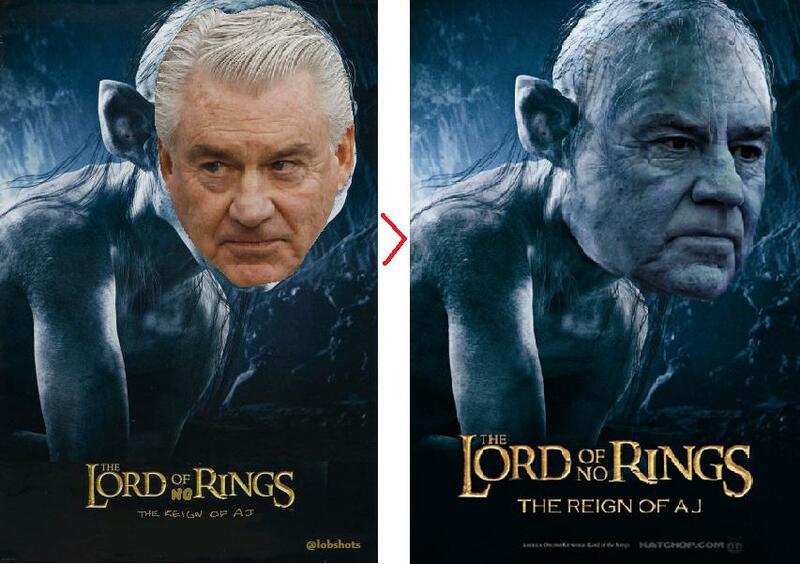 I took that poster you see to the right… presumably the same one that the photoshopper above used, and created my own version of the AJ Smith: The Lord of No Rings. Prepare to have your mind blown by the power of bitmap paint. This entry was posted in ART, Football, NFL and tagged AJ Smith, aj smith The Lord of No Rings, gollum, The Lord of No Rings, The Lord of No Rings chargers, The Lord of the Rings chargers. Bookmark the permalink.